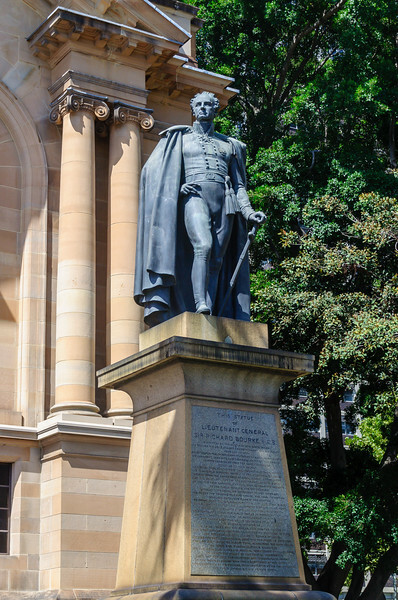 General Sir Richard Bourke, KCB (4 May 1777 – 12 August 1855) was an Irish-born British Army officer who served as Governor of New South Wales from 1831 to 1837. As a lifelong Whig (Liberal), he encouraged the emancipation of convicts and helped bring forward the ending of penal transportation to Australia. In this, he faced strong opposition from the military/conservative establishment and its press. He approved a new settlement on the Yarra River, and named it Melbourne, in honour of the incumbent British Prime Minister, Lord Melbourne.